Like many other transitions in life like divorce, a sudden change of job, or your kids moving out - downsizing your home can be very painful. A home represents a cherished period in someone’s life, and moving represents closing this chapter. But do you have to look at it this way? 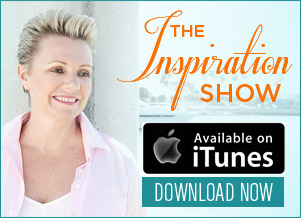 On this very informative episode of The Inspiration Show, my guest Sharon McRill, discusses the many gifts that come with letting go and making space in your heart and life for something even better. If you have a hard time “letting go”, then make sure to watch this great interview! NL: Hi everyone! My name is Natalie Ledwell and this is The Inspiration Show. Today on the show, I have a special guest of mine who’s a very good friend and who I was just hanging out with recently. 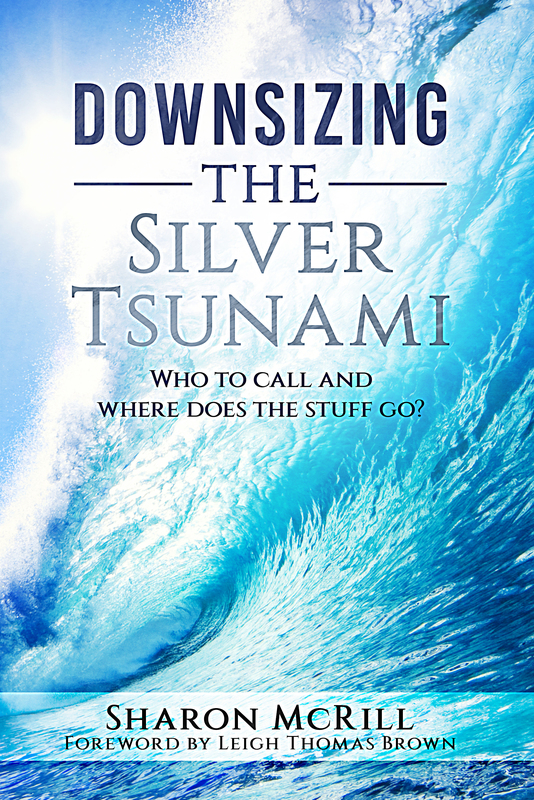 She’s released a new book called Downsizing The Silver Tsunami, which is going to be awesome. Talking about, you know, how to clear the clutter when we get a little older and be able to clear some space for new things to come in. But before I introduce my special guest, I just want to remind you that after the show’s over, don’t forget to click the link below this video so you can download the free ebook version of my bestselling book Never In Your Wildest Dreams. So please help let me introduce my special guest and friend, Sharon McRill. How are you Sharon? NL: Yeah. (laughter) It’s like birthing a child kind of.So, you are the founder of The Betty Brigade and you performed an amazing service for people so for those people who don’t know you, I know that you’ve been on the show once before, what is the Betty Brigade and how did you get in to doing this kind of work and writing the book? SM: Well, we could talk about that for hours but it would take some alcohol. So we’re just going to go with the short version. So I started my company 16 years ago and we specialize in relocation, organizing, and just helping people figure out what to keep and what not to keep. NL: Right. So is (inaudible) a specific age group that you look at when you’re doing this (inaudible) your customers? SM: Well, we work with all different folks but the book that I just wrote is kind of geared towards seniors and their adult children when somebody is downsizing a home and trying to figure out where does all the stuff go. NL: Right. So I can imagine, especially when someone’s lived in a home for like 30 years or 40 years depending you know, on the person, that there must be a lot of things to clear. So where do you even start with a job like that? SM: Well, a lot of things to clear is typically an understatement and so 50 years of stuff is way, way different than 10 years of stuff and so where do we start? Well, we basically start with what does the client love, what do they want to keep, and we start tagging those items and then also grabbing the low hanging fruit, the things that are broken, the things that really do not belong in the move like trash, recycling, you know, old paint, things like that that are in every household. NL: Right. 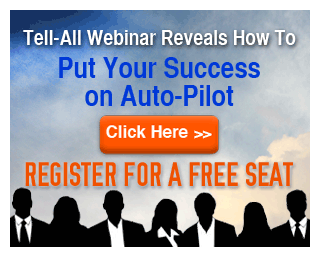 So is there a system that people can you know, even start thinking about? You know, if they’re looking at this massive mountain in front of them which can be exceptionally overwhelming. You know, where do they like, so is there a system that they can actually go to? SM: So those are the kinds of things. We kind of walk everyone through about like what is important about hiring a good real estate agent. Why it’s important to have a trust or a will because there are, we see so many family squabbles. Things that people argue about over money that it’s just not necessary and it can be avoided. Things like that and we break it all down in the book in ways, in a way that you can read it, anybody can read it and understand it and it’s not in language that feels hard or difficult to understand. NL: Right. So I like the sound of this because it’s not just about clearing stuff up but it’s about really getting your phase in order so that the next chapter of your life is really, you can go through with ease and grace because downsizing can be, like a, just a weight off your shoulders, you know. SM: Yes, it can be. And it’s not just for seniors like lots of folks are, the whole tiny home movement is something that is sweeping the globe and so what do you do when you want to live in a tiny home? Well, you have to downsize. NL: Right. And so is there a way that or you know, a lot of stuff, is it sell-able? Like are those kind of things, you know, available? Like those kind of services available to people as well? SM: Yes. So not every household has lots of things that can be sold but some people who have been in their homes for years and years have a lot that does have value and so it’s good to have somebody who can walk through and kind of understand, well this can be sold and this really should just be donated. And having a professional do that is a big part of how we work. So here’s the thing, we always have people in every family walk through a house and say, Well this is super valuable and it’s not really that valuable just because it’s listed on ebay for $500 doesn’t mean that that’s what it will sell for. So you really want to make sure that you’re looking at what is the sold price, not what is the listed price. NL: Right. And so I mean, that brings up an interesting point because sometimes we look at something and it’s valuable to us, maybe not valuable to everybody else. So how do we choose the things that we keep and the things that we can release? NL: (laughter) Yeah because it can really unnecessarily fill up your new place. SM: That is exactly right Natalie. NL: You got a lot of stories? (laughter) Share some stories with us that you know, if people that have really, because you know, I found the same thing when I moved from Australia to the US, you know, I had to go through a whole process of well, have I used this in the last 12 months, am I ever going to use it again? Is it worth shipping over to the US and at first it was difficult but then it started to get really easy after awhile because I kind of got in to the swing of things. So what are some of the experiences or you know, things that you’ve seen with people that you’ve worked with? SM: Well, everybody approaches it differently and when it’s directly your stuff, it’s much, much harder to do and so we always recommend that you have a friend or a professional do this with you because they are not attached and they’re going to look at that and say really? You’re keeping that or you have 30 of those, do you really need 31? And those are the kinds of things that a neutral party will tell you especially if it’s really a good friend, somebody who’s not going to enable you to keep all your stuff. (laughter) So there’s that. But there’s also savers and so I’m going to tell you about a lady who we’re working with currently, right now, she’s a hoarder and her, she has a 5 bedroom house that she is using as a storage unit. 5 bedroom house. It’s probably about a 4,000 square foot house, it’s quite big and she has filled it up. She no longer lives there, she moved to a condo and she also has 3 additional storage units on top of the house and she is struggling to let go of things and the stuff in the house will not fit in her new condo. She has filled up her condo so that it is a little bit over full but it’s not to hoarding capacity yet. But she keeps looking at it and thinking well, there’s more room here. But what’s been really interesting about working with her is that before we started working with her, her daughters, she has 2 daughters that are adults and the daughters had stopped talking to her completely and then about a week after we started working with her, one daughter kind of came back around and now both daughters are back in her life and the daughters were not even allowing their children, the grandchildren to see grandma because grandma, every time she saw the grandkids, would hand the grandchildren stuff and the daughters were like, Look, you can’t send your stuff to my house. Now what has been interesting is that I was able to have a conversation and say to the hoarder, Look, your daughter, her love language is service, she wants to help you, and the hoarder’s love language, her love language is gifts. SM: And so, when I explained that to these 2 adult women, it suddenly became very clear how they could more easily work together and that the daughter was no longer resisting all of her mother’s gifts because she realized that that’s how mom expresses her love. So it’s a process and does it happen overnight? Not usually but we do sometimes work with folks who have recently passed and we help clear out those estates and those actually go quite quickly. NL: Right. Yeah because I can imagine they are, you know, even my mom, she’s in her 80s now and she’s like Oh I’m going to save this to give this to you and I’m like, Okay, let’s, it’s a bit of a morbid conversation here. But again it’s like you know, trying to keep everything, like you’re earmarking certain things to pass down but everything else you can kind of release. But when it comes to the hoarding situation that’s more than just a “can’t release” you know, stuff. You know that’s obviously something deeper. Do you work with people on that level as well? SM: We do. And when we’re working with an active hoarder inside in a hoarding situation, then we do ask that they are in therapy and we have therapists we can recommend that will, we have some locally here in Michigan but we also have some remotely that can work with the client on their phone or on an iPad or something like that. NL: Right. Yeah. Because that sounds like it’s a much bigger issue as well. NL: Yeah. So let’s say that someone is watching the show right now and they’re like Okay I do need to tidy things up like you know maybe things are getting a little out of control and I mean, you know, I try and spring clean at least once a year and I’ve actually just moved in to a new condo so there was nothing like doing that and going Yep, not, not, not, get all of it out, but what’s something, some advice that you give to people who are like okay, let’s say you’re doing a little bit of spring cleaning, you know, what are, are there particular rules that they can follow and how they can you know, clear the clutter? SM: Sure. So I’m going to talk about on a yearly basis and then I’m going to talk about on a weekly basis. SM: Because I live with a saver. My husband is a saver of things and so, and I am not, imagine that. (laughter) So I understand what it’s like to live with somebody who holds on to too many things. So on a yearly basis, I’m going through those storage areas, going through the areas that do get filled up like garages, attics, basements, back closets, those areas that get jammed up and taking a look and seeing, hey have they been damaged by heat or cold or rodents or bugs, like because sometimes that happens, so you can let those things go if they are getting damaged. Especially like when folks store things in their attics that don’t have a lot of insulation, the heat and the cold and the heat and the cold makes paper very brittle and it just turns in to dust. So those are the kinds of things that we really kind of caution people on. So going through those areas once a year is really an important step. Now on a more regular basis and this is something that we do in our household, we clear the clutter weekly because both of us are very, very busy, things build up in the living room, the dining room, the kitchen, you know, I mean the dishes get done everyday and we do have a cleaning service come in every couple of weeks to clean but the clutter builds up, shoes, coats, you know, whatnot, I leave my earrings around, that kind of thing. So once a week, every Sunday, we reset the house and what that means is we take a couple of hours to put everything back in it’s home and figure out what we need for the following week and kind of put that in places where we can easily get to it so that we’re not searching for it. NL: Right. And I think that’s the trick right? Just staying on top of it. Like even when I did the move and I’d been in my pod for five years, I’d rather be doing it all on one day, I’m like Right, Today I’m going to do this room. So I was able to go through one room, clear everything out, pack everything else, so it wasn’t like, it wasn’t a monumental thing that I had to do, I was able to break it up so that it was you know, a little bit more manageable. But I agree, like doing it on a weekly basis means that it doesn’t get to that point where you’re like, Oh I really, this is a big job and I need to sort it out. 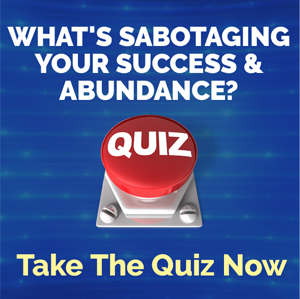 So who are the people that you think will benefit the most from Downsizing The Silver Tsunami? SM: Well, it’s the baby boomers and their kids. Well the baby boomers because they may or may not be able to stay in their homes and if they are in that category of you’re taking me out of my house feet first, that’s okay but you still have to clear the clutter because you can’t have trip hazards, you may have to put in grab bars, you may have to put in a chair lift to get up and down the stairs, and being able to invite vendors in to install those things is an important part of staying safe in your home and being able to continue to maintain your lifestyle and maintain your home. If you’re home is kind of falling down around your ears then there’s a problem. SM: And then their adult children, absolutely, because if the kids start going through stuff with mom and dad then it’s not all left to the end and mom and dad get to actually tell those stories to the kids about the history of, you know, this particular vase or that particular book or things like that that really do mean something to the parents and then the kids can then take those stories and pass them down. What ends up happening is when those stories don’t get told, then it just becomes things and everything gets dispersed in a way that doesn’t feel like it honors the person who passed away. NL: Yeah. I love that. You know, why not make it like a family activity. Where you can really get to learn more about your parents as well. I love that. So Sharon, where can we send people to connect with you and get their hands on the book? SM: Well, the easiest place would be our website which is just bettybrigade.com and right on the homepage, right front and center is information about the book. So we made it really easy for folks to find. NL: Wonderful. Well darling, thank you so much for joining me today. It’s always a pleasure chatting with you. NL: (laughter) Ah, thank you. SM: That was really a fun night. NL: We had a very fun night. It was awesome. Well, thanks again Sharon, so great chatting to you. And guys I encourage you to please share this video. Let’s get the word out by clicking the facebook and the twitter share buttons on this page. Now you can click either the banner to the side or the link below this video to go directly through to Sharon’s website and after all of that is done, don’t forget to click the link below that so that you can download the free ebook version of my bestselling book Never In Your Wildest Dreams. So until next time, remember to live large, choose courageously, and love without limits. We’ll see you soon.